Your walls may be a standard off-white or ivory which is all very good and well but can seem a little bland. Why not add an accent wall that is painted a bold color such as teal or deep burgundy? Consider wallpaper for one wall to really give the room a little pizzazz. 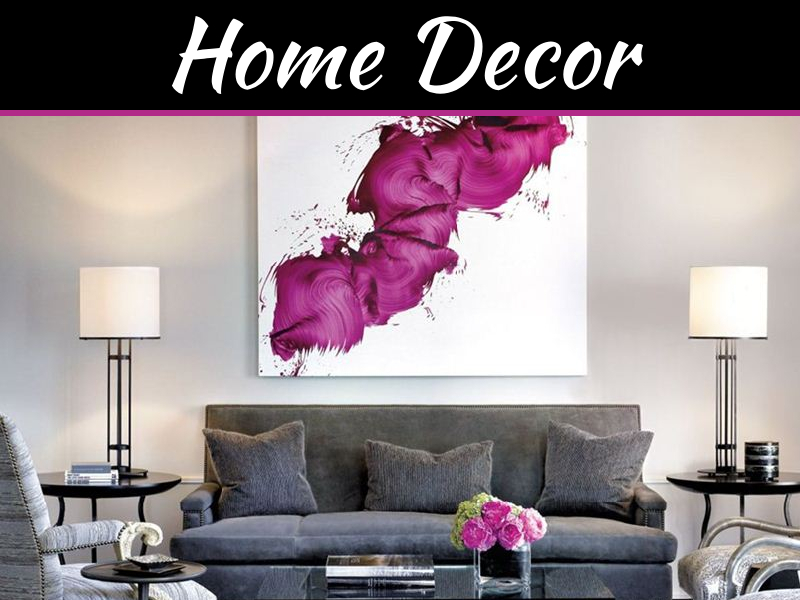 Add color in other unexpected places such as the artwork on the wall, the mirror frames, the candlesticks on your coffee table, or the throw pillows on your sofa. If you absolutely don’t know where to start, choose a piece of modern art that you truly love. Select colors from the painting to to help you choose other items for the room that it will be displayed in. 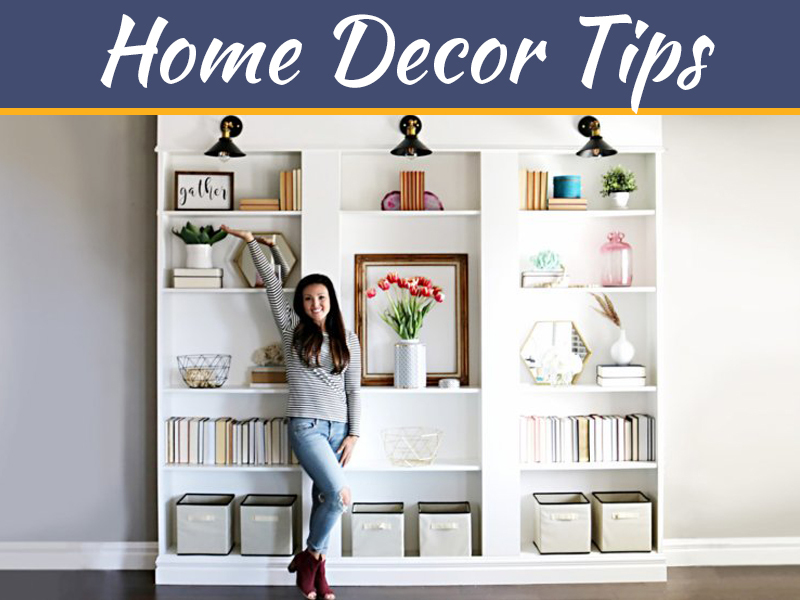 For example, if there is a shade of red in the artwork that appeals to you, choose that exact shade for upholstery, lampshades, rugs, and draperies. Center all of your choices for a specific room on the colors and tones of this painting, and it will all come together beautifully. 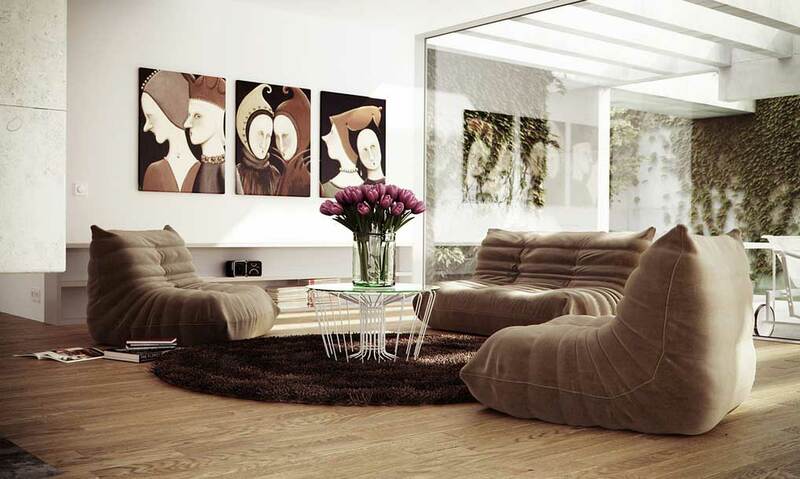 A modern interior is sleek and minimalistic. Reduce your clutter by removing excessive pieces of furniture and other articles. 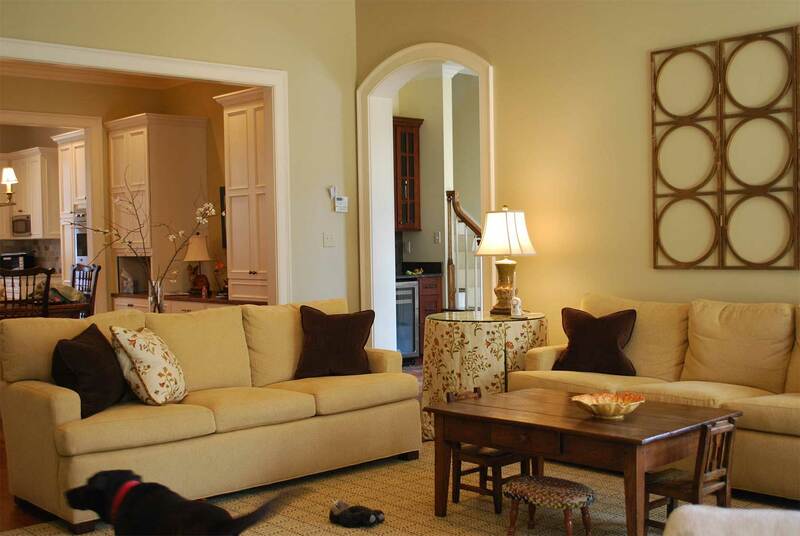 Add quality streamlined sofas, chairs, and coffee tables that fit in with your color and decor scheme. 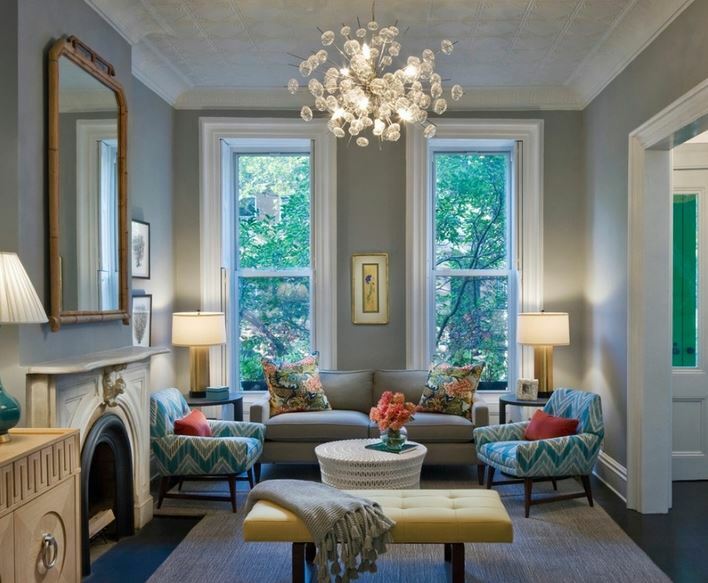 Avoid overstuffed, chintzy furniture that looks dated and overwhelming. Think geometric—all cubes, rectangles, and straight lines. If everything in a room is of the same texture, it will look too uniform to be truly inviting. 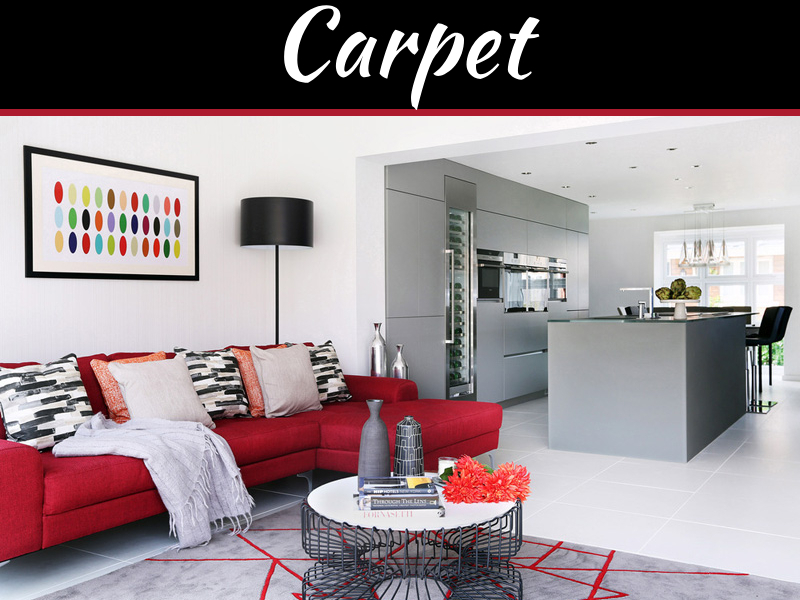 The best place to add texture is on the floor—you can add rugs, change the flooring to a hand-scraped wood, or even add new carpet for an elegant appeal. 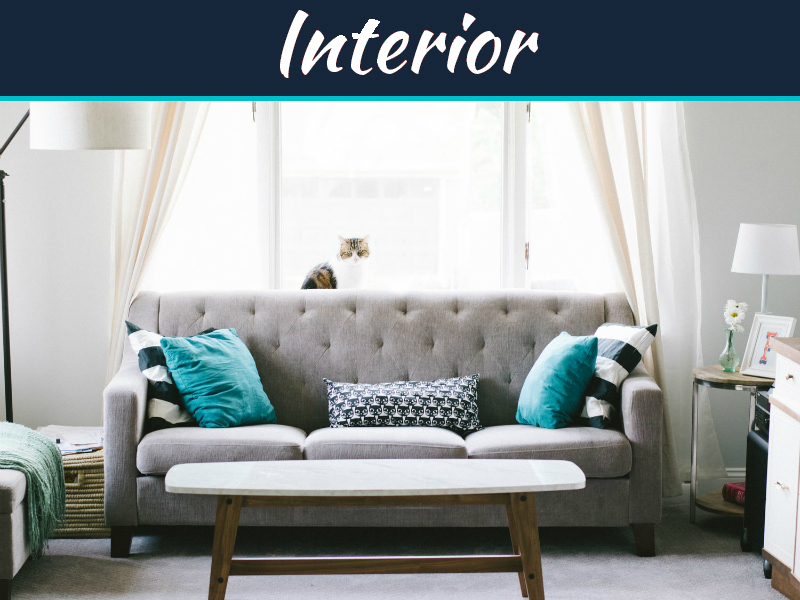 Other texturized surfaces could include upholstery, draperies, artwork, lampshades, and wooden side and coffee tables. Accessories should be kept to a minimum to reduce clutter and keep spaces spare and clean. The few accessories you add should be minimalistic in nature and not detract from the overall look. For example, throw pillows should be simple and unassuming with no lace, frills, or fringe. Lamps should be purchased with straight or curved lines with very plain lampshades. Add simple and easy-to-maintain plants such as succulents of varying shapes and sizes. The clear glass vases and containers from companies like Wholesale Flowers and Supplies make perfect terrariums for this tender foliage and will help bring color and texture to the room. You will be so pleased with your home’s interior after utilizing one or more of these suggestions. 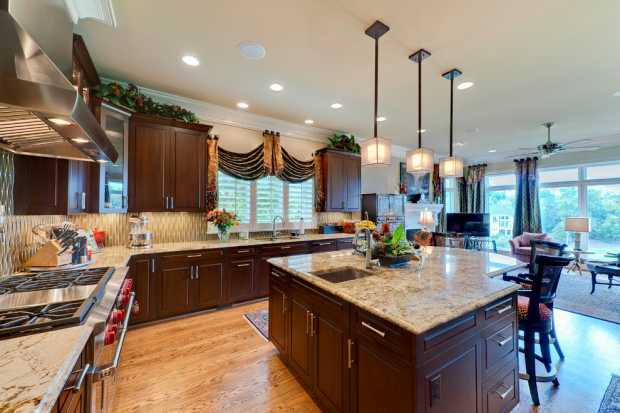 It will become a refreshing, appealing space that you can relax in, entertain friends, or bond with family members. The general lack of clutter should make it easy to keep clean, organized, and always ready to occupy with those you love.